Hi, my name is Gwen Sanabria and I am a student at the University of Texas at Austin, studying toward a degree in Anthropology. 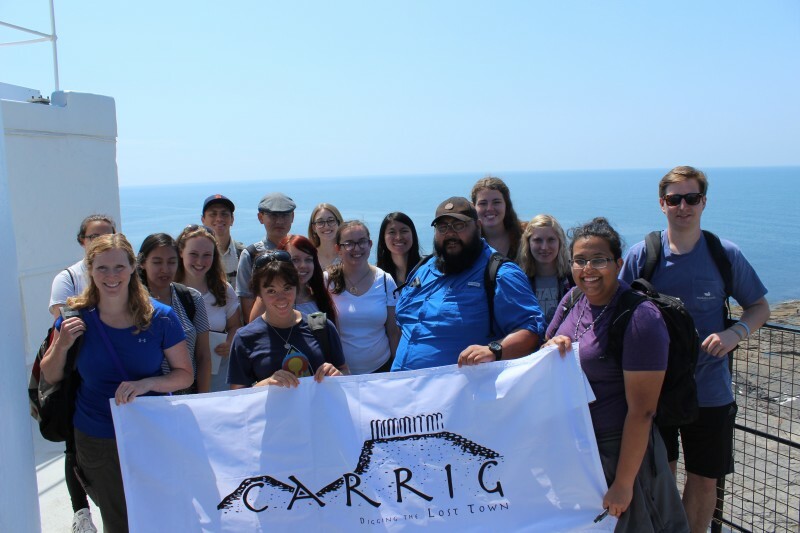 I spent the past four weeks at the digging “the Lost Town of Carrig” in Wexford, Ireland with the Irish Archaeological Field School (IAFS). 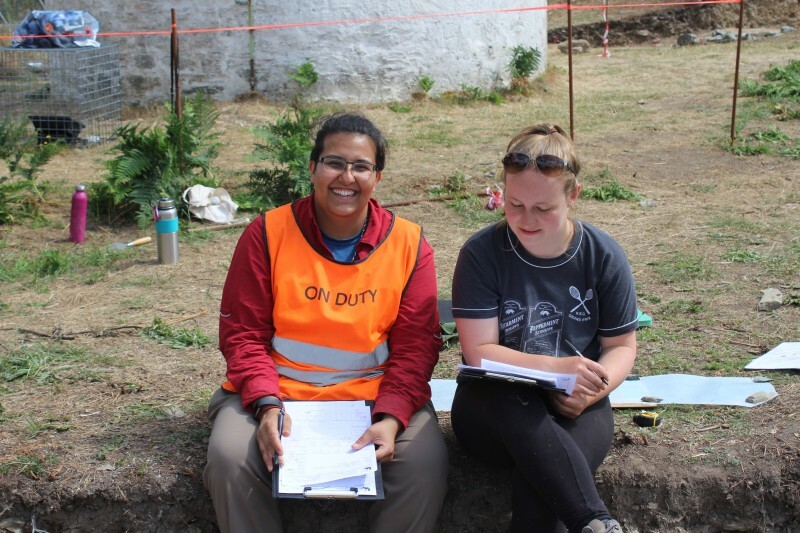 I really wanted to do a field school before I finished my undergraduate degree to gain more hands-on experience in the field of archaeology. I arrived in Ireland on the day that the program started, so I was rushed to get down to the Irish National Heritage Park, where our site is located, but it ended up being OK! The park that we’re working in is really gorgeous- there’s a lot of green and trees, which you don’t really get within the city of Wexford itself. Once you climb up the hill to the site, the views are amazing too. It’s tiring work but it feels good to be digging, finding artefacts, and learning new archaeological techniques. The most tiring part of it is probably the heat! 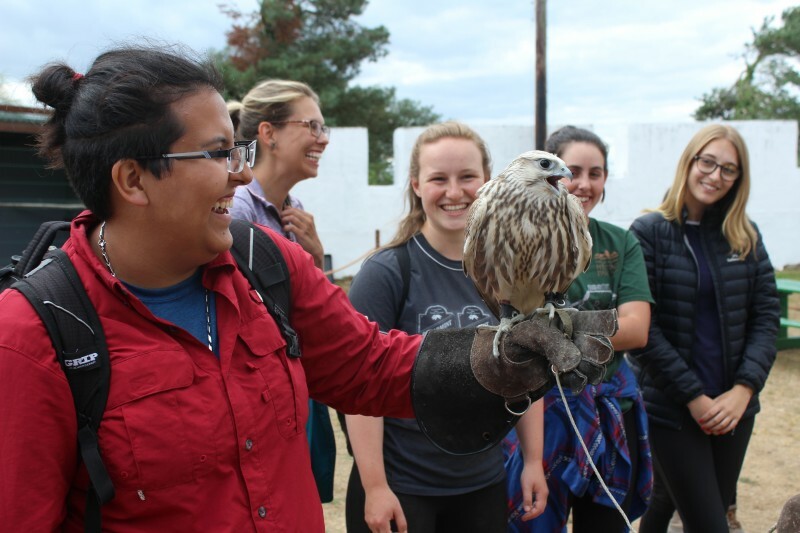 I wanted to do a field school in Ireland because of the cooler weather, but we ended up having record-breaking heat this summer! The park that we are digging in contains replicas from throughout Irish history, but we’re uncovering the only real bit of history in the park! We’re digging the site of the first Anglo-Norman fortification in the country, which was originally built in 1169 by Robert FitzStephen. Our instructors- Denis and Richard- are really great. They’re always there to help, provide you with any information you may need, and they’re great fun too. They help to make a great atmosphere on site. If you make any mistakes, they’ll help teach you how to do it better next time instead of getting frustrated or switching you to an easier or different task, which I think is important. Other than the dig, I’ve also been enjoying my homestay experience and my weekend travels. I really liked that we live with a local family and not just in an apartment or hotel because you are able to experience what the locals do and hear interesting tidbits of history that you wouldn’t get otherwise. My homestay mom was great fun and made really good food! Having my weekends free was also a bonus - my favorite trip was probably the weekend I spent in Galway with a bunch of the other students. 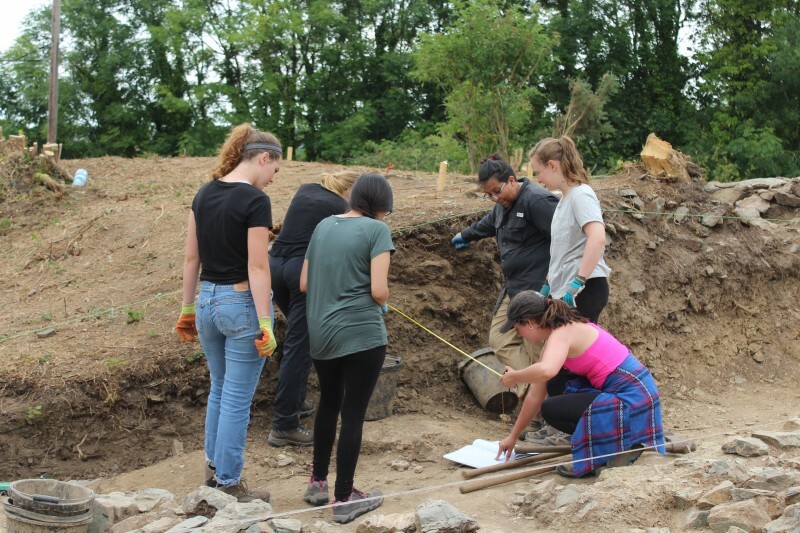 Overall, this month has been a great experience and I loved being able to learn about archaeology as well as the culture of Ireland as a whole.